In 2004, Sharp Corporation established standards for Super Green Products, and the company has been committed to improving its environmental sustainability management ever since. In fact, since 2004 all Sharp production facilities have been ISO 14001 certified. This ensures that Sharp’s environmental management and pollution preventing systems are maintained. As a Copeco customer, you can participate in Sharp’s free recycling program, which offers convenience for you and keeps toner cartridges out of landfills. In this post, I’ll share the benefits of this environmentally friendly program and how you can participate. Each collection/shipping box can hold up to 10 used toner cartridges. We suggest placing each box in the mailroom or near your Sharp printers and copiers for easy placement of used cartridges. Once a box is full, a liner and zip tie ensure no leakage during shipment. The final step is to simply put the prepaid package in the mail—it really is that easy! Sharp is committed to minimizing the environmental impact of its products, including safe disposal at the end of a product’s life. The “Stop, Drop, Recycle” program is proof of that promise. All consumables are 100 percent recycled with zero waste going to a landfill. 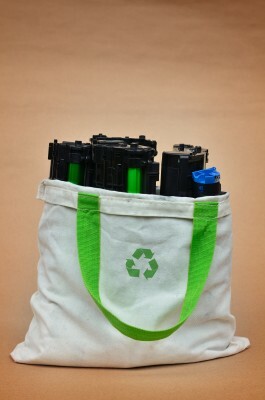 Interested in recycling? Businesses and organization in the Canton, Akron, and Toledo areas can contact us. Let us help you help the environment! Since cost-cutting is a popular activity these days, perhaps you’re taking a good, hard look at the expenses associated with your printer and copier fleet. If you’re an office manager, you may wonder why it seems like you’re ordering toner cartridges and copy paper all the time. Manufacturers promise a certain page yield from each toner cartridge they make, but few ever produce the expected amount. That’s because an average of five-percent document coverage is tough to achieve. If you’re in IT, managing the output and efficiency of multifunction printers may not be high on your list of priorities, but, chances are, you need to attend to it. 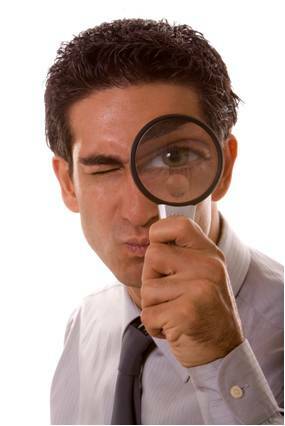 A print audit is the perfect solution in both cases. Development of a floor plan that pinpoints the location of each laser printer, copier, multifunction device, inkjet and fax machine. This is the macro view that takes the total health of the printing environment into account. Fast, easy (and often remote) installation of a safe, lightweight printer audit software on a server or workstation. The software should poll your copier and printer fleet regularly; I recommend hourly queries. This is the micro view that checks for meter readings, toner levels, service conditions, warnings or alerts, and maintenance intervals. Secure transfer of the query data to a database for analysis. Creation of a go-forward plan that may include reconfiguring of printing resources. With just several weeks of reporting, a good printer audit can help you quantify your machine volumes by month and year. Based on the copier model, you can determine cost of operation. After your print audit, you may decide that managed print services can help you lower costs and improve document production efficiency. An MPS agreement gets you more than just a good deal on toner. You get total care of your entire printer and copier fleet with a reasonable, cost-per-print plan. That’s great news if you’re on a cost-cutting mission. Copeco can provide you with simple, reliable printer usage audit, as well as cost-efficient managed print services. For more information, contact us. As you may know, early this year the CBS Evening News featured a story about security and the ease of extracting data from Multifunction Printers (MFPs). 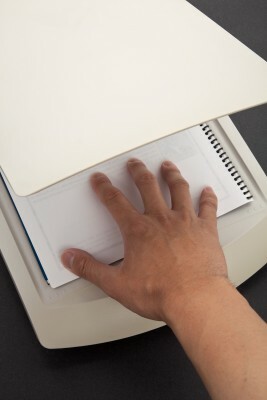 The investigation centered on digital copiers containing a hard drive, much like the one on your personal computer that store images of every document copied, scanned, or emailed from individual machines. CBS went to a warehouse/liquidator and, with forensic software downloaded from the internet; they were able to obtain sensitive documents from each machine including records from police departments and insurance companies. Now that we have your attention let’s talk about what you need to know to protect your data and how Copeco is your partner in achieving that goal. Does my copier have a hard drive and if so, does it have a built in utility to erase data? What options are available that will allow me to protect, encrypt or erase my data? What policies and procedures do you, the vendor, have in place to make sure that my data remains safe or is erased properly? As your partner in security, Copeco has created the following policy to address the questions above. Most new Sharp copiers have a built in utility to erase or reformat your drive. Additionally, some of our Sharp products are equipped with a kit that will encrypt all data and erase the hard drive after every job. Copeco offers a variety of services to erase your data depending upon your service contract and equipment. Please review our security policy to determine which service is right for you. Your data security is essential and it is our job to make sure that you are protected. Customer service is our top priority and we are here to make sure all your needs are addressed. If you have any questions about your current copier data security please feel to put them in the comment section and we will be sure to answer them as quickly as possible. https://copeco.com/wordpress/wp-content/uploads/logo.png 0 0 Denise Dennewitz https://copeco.com/wordpress/wp-content/uploads/logo.png Denise Dennewitz2010-08-24 08:30:162018-03-19 09:19:53Is Your Copier Data Safe?